Awesome looking house exterior in night view. 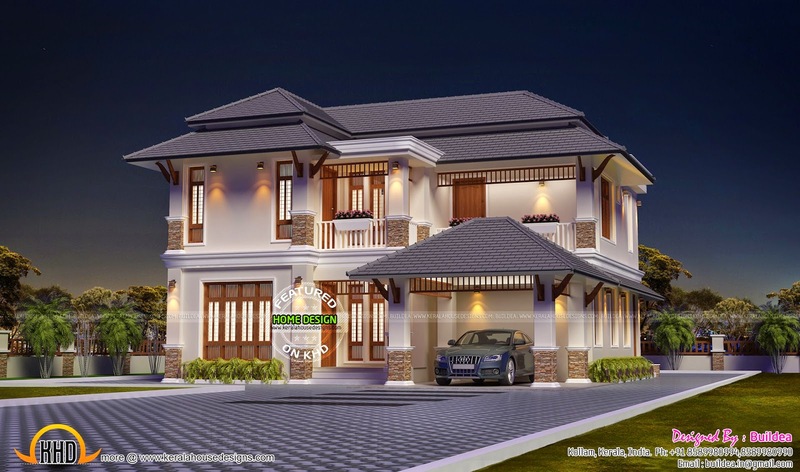 Total area of this house is 2410 Square Feet (224 Square Meter) (268 Square Yards). 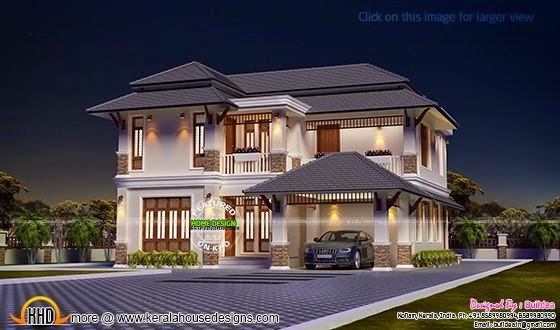 Designed by Buildea, Kollam, Kerala. First floor : 1110 sq.ft.